Tyler plays Owens who, after a family tragedy, joins a grief counseling support group where Ryan (Perry) is a member and helps to draw him out of his shell. “Go On” is a comedy where Perry plays a head-strong sportscaster (Perry) dealing with the loss of his wife. The series airs on Tuesdays at 9/8c on NBC. Well, Vanessa must have handled her busy because not only has she been asked back, but she will also be guest starring on the new Showtime series, “Shameless,” starring William H. Macy. Also a dancer Calloway explains that she also co-stars in the Russ Parr film The Under Shepherd, starring Isaiah Washington, Malinda Williams, Clifton Powell and Elise Neal, which was filmed four years ago and just now being released. She also appears in The Last Fall, a HBO Best Feature Film Award winning movie starring Lance Gross, Nicole Beharie and Obba Babatunde’ – a coming of age sports drama. Vanessa can also be seen in the feature film The Obama Effect. The Obama Effect also includes veteran actor Glynn Turman, Charles S. Dutton, Katt Williams and boxing great Zab Judah. 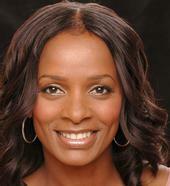 For more information on the NAACP Image Award nominee, Vanessa Bell Calloway, log onto www.VanessaBellCalloway.com. 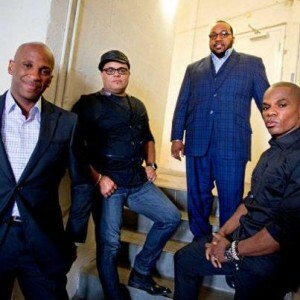 Headliners of ‘The King’s Men’ Tour: Donnie McClurkin, Israel Houghton, Marvin Sapp and Kirk Franklin. *I attended the much talked about “The King’s Men” Tour with Kirk Franklin, Marvin Sapp, Israel Houghton and Donnie McClurkin and I witnessed four powerful testimonies from men not afraid to show their love of God. The result was a massive movement in song. Woven into the outstanding performances of Israel Houghton, Marvin Sapp and Donnie McClurkin you will find the masterful Kirk Franklin keeping the flow by using the audience as his choir, the largest choir probably in the world. – they even sang on key. With that, and Kirk’s dance moves (I saw Michael Jackson, James Brown, Prince and The Time moves), all I could do was shake my head and reach for a tissue. It seemed at times even Kirk, Donnie, Israel and Marvin broke down in tears from the power and love the audience gave – a full house audience too. Loved the spoken word and sometimes rap style that Kirk brought to the tour. Even Marvin did a youth oriented number that fit right in with the back-up singers dance moves – who I might add can really dance. The female back-up singers can really sing, and I mean they “sang” good! The lighting used also made a powerful statement for “The King’s Men” Tour, which kicked off in Phoenix, AZ in mid-September and ends October 20, 2012 in Atlanta. On October 9th the tour arrives in Cleveland, OH; Oct. 10th in Chicago, Ill; Oct. 12th in Detroit; MI, Oct. 14th in Brooklyn, NY, and Oct. 20th in Atlanta, GA.
For more updated information on The King’s Men Tour with Kirk Franklin, Marvin Sapp, Israel Houghton and Donnie McClurkin visit www.facebook.com/pages/the-kings-men-tour. Grammy Award nominated Jazz vocalist Gregory Porter. *I witnessed the devotion that a fan can give an artist they love. In going to review the performance of Grammy Award nominated Jazz vocalist Gregory Porter at The Mint in Los Angeles I saw first-hand what the love of music brings out in people. Not only did the attendees to his show stand in line for 1 ½ hours (early) waiting for the doors to open, but patiently waited inside the club for another hour. When Gregory Porter opened up his month to sing the audience seemed to suddenly come alive. As he talked us through his songs telling the history behind them, where he was personally at the time the song was created, it helped to give us our own mental projection of his repertoire. Porter took the audience into his world so they could understand his music and they understood clearly, because not only did they dance to his music but they sang along as well. Gregory Porter’s band was also a thing of perfection for my ears, especially the horn player who gave 110% – he had me sweating and I didn’t blow a note. Also a stage actor, Porter has performed in “It Ain’t Nothin’ But the Blues,” the Doo Wop musical “Avenue X” and a one-man show “Nat King Cole and Me.” “It Ain’t Nothin’ But the Blues” went on to earn a Tony Award nomination. Porter’s debut album was in 2010 with “Water” (Motema Music), which earned him the Grammy Award nomination. His current album on the same label is titled “Be Good.” Gregory sang from both albums at The Mint show to an ‘over’ capacity audience. He combined his church experiences as a youth with his personal love for the blues and he mixes it together to offer a Jazz vocal style like no other artist that’s currently out. This was certainly a show I can say every music lover, not just Jazz lovers, will enjoy. 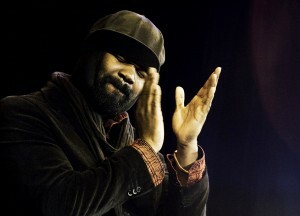 For more information on Jazz vocalist Gregory Porter log onto www.GregoryPorter.com.